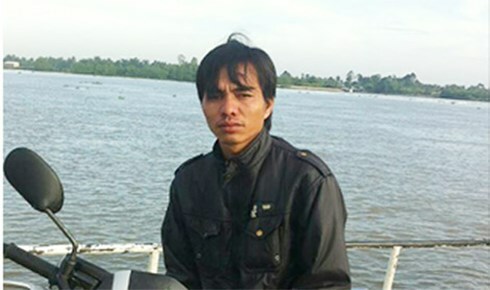 Featured Image: Engineer Nguyen Ngoc Anh, arrested in Ben Tre province on August 30. Greetings from The 88 Project! We are bringing you news, analysis, and actions regarding human rights and civil society in Vietnam during the weeks of August 27-September 3 and September 4-9. Political and environmental activist Nguyen Trung Truc will go to trial on September 12, and land rights activist Do Cong Duong will face trial on his first set of charges on September 17. Former teacher Dao Quang Thuc has his trial set for September 19, and pro-democracy activist Nguyen Van Tuc will appeal his 13-year sentence on September 14. Authorities have charged at least three online activists within the past two weeks with alleged crimes against the state, including an engineer charged under Article 117 of the 2015 Criminal Code for “making, storing, spreading information, materials, items for the purpose of opposing the State.” In addition, trials continue for those involved in June 2018 protests in Binh Thuan province. Political prisoner Tran Huynh Duy Thuc remains on hunger strike after several weeks, with his family unable to receive news on his condition from prison authorities. We think of him this week, as well as religious freedom advocate Pastor Nguyen Trung Ton, who spent another birthday in prison on September 2. Several activists remain at risk this week after being questioned or detained in recent days; several activists were also beaten by police. Police have released some activists after questioning but are still holding others, whose whereabouts remain unknown. Read about an environmental protest over a waste management facility, another alleged case of police brutality, and several pieces of international advocacy. The International Federation for Human Right’s Secretary General has been denied entry into Vietnam for the World Economic Forum; the organization had recently co-authored a statement responding to Vietnam’s report to the UN for is upcoming Universal Periodic Review. In the news, learn more about Vietnamese activists’ relationships with the late US Senator John McCain and perspectives on the draft bill on Special Economic Zones and the relationship between human rights and global financial instruments. Please take action to help us reach our funding goal for our video interview series! So far, we have raised enough funds to start production on the first two interviews with female activists. Please consider donating, here. Former teacher Dao Quang Thuc has a trial set for September 19 in Hoa Binh province. He was arrested in October 2017 on charges of subversion under Article 79 of the 1999 Criminal Code for online postings and peaceful participation in protests over the environment and territorial disputes with China. He was just recently permitted to meet with his lawyer, despite being in detention for almost one year. His family alleges he has been tortured while imprisoned. Nguyen Trung Truc will now face trial on September 12 in Quang Binh province, Dong Hoi City. His trial had been set for August 17, but was postponed unexpectedly. He was arrested in August 2017 under Article 79 of the 1999 Criminal Code. Truc is a political and environmental activist who had advocated for multi-party democracy and support for affected communities after the 2016 Formosa environmental disaster. This week, we remember political prisoner Nguyen Van Tuc on the first anniversary of his arrest. He was arrested under Article 79 of the 1999 Criminal Code on September 1, 2017 for ties to the Brotherhood for Democracy and for his human rights and maritime sovereignty activism. In April, he was sentenced to 13 years in prison, and he has been reported to be in poor health. He will face an appeal trial on September 14 in Hanoi. Police arrested engineer Nguyen Ngoc Anh in Ben Tre province on August 30. He is charged with “making, storing, spreading information, materials, items for the purpose of opposing the State of Socialist Republic of Vietnam,” under Article 117 of the 2015 Criminal Code, which carries a maximum sentence of 20 years in prison. Anh had reportedly posted items on Facebook and made videos critical of the government’s handling of human rights, corruption, and maritime sovereignty issues. He now faces several months of incommunicado pre-trial investigation, while his family is facing harassment from local authorities. Two men were also arrested on September 1 in Can Tho province. Doanh Khanh Vinh Quang and Bui Manh Dong were arrested for their Facebook postings criticizing the government and calling for protests. Additionally, seventeen more people were tried in Binh Thuan province for their roles in June 2018 national protests, which, according to national media, brought the total number of prosecuted protesters in Binh Thuan to 32. While protests were mainly peaceful, there were reports of some violent tactics used in Binh Thuan specifically, though The 88 Project cannot confirm these claims and also recognizes that media reporting on this story inside Vietnam is run by the state itself. Read our report and analysis on the June 2018 protests’ aftermath and resulting arrests, here. Imprisoned blogger and entrepreneur Tran Huynh Duy Thuc remains on hunger strike after almost one month. His family has not heard from Thuc recently, so they still consider him to still be striking. It has been 27 days, and they are very concerned about his well-being. On September 8, they issued this letter requesting that the prison authorities inform the family about Thuc’s current condition, as well as allow Thuc to make a phone call home. The letter is addressed to the Vietnamese government, foreign embassies, international organizations, and concerned people everywhere, and calls upon them to speak out to protect Thuc. He has been protesting increased restrictions in prison, as well as his opposition to authorities’ attempts to get him to accept exile in exchange for early release. This week, we also remember Nguyen Trung Ton, a pastor and democracy/religious freedom activist, in honor of his birthday on September 2. In April 2018, he was sentenced to 12 yrs in prison. In July, he was moved to a prison 1000 km from home. Police kidnapped and held former political prisoner Nguyen An for twelve days, refusing to give his family information about his location. He was imprisoned from 1979-1983 and had participated in June 2018’s widespread protests. Blogger and active Facebook user Ngo Van Dung was taken into custody on Septemner 4. He situation remains unclear, and many fear he has been formally arrested. Authorities have not given his wife information about his whereabouts. Facebook users Xuan Hong and Pham Vu Phong were allegedly detained in Ho Chi Minh City on September 2. Their families also do not know their whereabouts and have not received information on formal charges. On September 4, Tran Huu Dao, a teacher, was kidnapped and assaulted, his phone destroyed. He has been vocal about human rights issues and believes he was kidnapped by plainclothes police. Police held and interrogated blogger and prominent Facebook user Ngo Thanh Tu for over 24 hours between August 30-31, using force against him which he claims amounted to torture. Here, The Vietnamese reflects on the concerted government attempts to quell public dissent since the June 2018 protests. On September 3, police violently dispersed protesters gathered with the aim to release 31 demonstrators who were detained after a protest against a pollution-producing waste management plant that recently resumed operations, despite previous pledges to relocate. The group had intended to meet with local officials to negotiate the release of the detained protesters, but they were instead met with physical attacks that left some members of the group severely injured and even reportedly caused a woman’s miscarriage of her pregnancy. Police claim protesters had detained three workers in a standoff situation, who were later released. This latest incident follows a trend in increased efforts to protect environmental rights after the Formosa 2016 toxic waste spill. The community is asking for answers after Hoang Tuan Long, a restaurant owner, died in police custody. His family received competing explanations as to his cause of death and claim he was healthy before being detained. Some police claim he committed suicide, though an autopsy revealed several injuries to his body. Police agents also later interrupted his funeral. This case echoes that of Hoa Hao Buddhist Nguyen Huu Tan, who was declared to have committed suicide in custody after being detained, despite inconsistencies with recorded footage and Tan’s injuries, as well as the case of Hua Hoang Anh, a farmer from Kien Giang province, who was found dead after police questioning in late July. Human Rights Watch called on Australia to condemn Vietnam’s human rights abuses ahead of the 15th Australia-Vietnam Human Rights Dialogue that took place in Hanoi on August 28, citing attacks on activists, Vietnam’s new cybersecurity law, and recent trials of prominent pro-democracy activists. They also sent a letter to Japan’s Foreign Minister, asking him to raise human rights and make Japanese-Vietnamese cooperation contingent upon them, during his meeting with the Vietnamese government on September 11. The International Federation for Human Rights (FIDH) and the Vietnam Committee on Human Rights (VCHR) have spoken out against Vietnam’s report to the UN ahead of its Universal Periodic Review in January 2019, calling parts of the report false and not conducive to an open human rights conversation. “The government report for the UPR is full of statements that defy reality and mask the fierce repression of civil society that has drawn strong criticism from the international community,” said VCHR President Vo Van Ai. Read the organizations’ response to the Vietnamese government’s report, here. On September 9, FIDH announced that Vietnam had denied entry of its Secretary General, Debbie Stothard, into the country. She is an invited participant of the World Economic Forum on ASEAN in Hanoi from September 11-13 and had already arrived at the airport in Hanoi before being refused entry. “Whatever inconvenience I am being subjected to is nothing compared to the attacks on Vietnam human rights defenders and the media,” Stothard said on social media. We are excited to announce that so far we have raised enough funds to produce two episodes for our interview series with Vietnamese female activists and former political prisoners! Stay tuned for the release! We have almost two months left to reach the rest of our goal of $5000. Please donate, here.